Trusted by 650 million users in more than 200 countries and geographical regions. Bitdefender 2017 also localized in over 20 languages. The New Bitdefender Antivirus Plus 2017 is the basic security solution, for your PC, compatible with Microsoft Windows 10,8.1,8,7, Vista and XP. 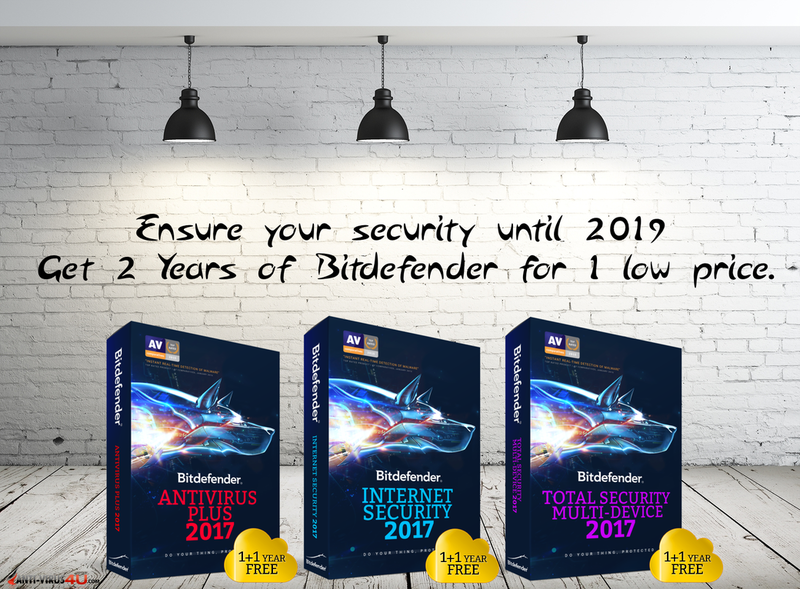 Bitdefender Internet Security 2017 includes all the protection of Bitdefender Antivirus Plus + NEW Generation of Firewall, Antispam,and Full-Fledged Parental Control. Bitdefender Total Security Multi-Device is combination of The NEW Bitdefender Total Security 2017 for Windows PC’s, Bitdefender Antivirus for MAC 2017 users and Bitdefender Mobile Security 2017 for Android smartphones and tablets.